When purchasing a house, most people provide a cash down payment and borrow the remainder of the purchase price from a mortgage lender. A standard down payment is 20% of the appraised value of the home. You are less of a risk to mortgage companies if you have provided 20% of the value. If you default on your mortgage, they will be able to foreclose on the house and quickly sell it, making their money back if they get at least 80% of its value. If you don’t have enough cash to put 20% down on a house, you can often still purchase a house with less if you subject yourself to higher monthly payments via mortgage insurance. The best way to think of mortgage insurance is to think of getting two separate loans. The first loan is the traditional one for 80% of the home’s value. The second loan is at a higher rate for the value of the down payment you didn’t provide, for example an additional 15% of the value. The mortgage insurance is often quoted as an additional 1% on the value of the entire loan. But charging 1% on 95% of the value of the house is equivalent to charging an extra 6.3% for only the last 15%. This is a steep interest rate to pay if the likelihood of you defaulting on the loan is low. The most straight forward method of avoiding this cost is putting more money down. 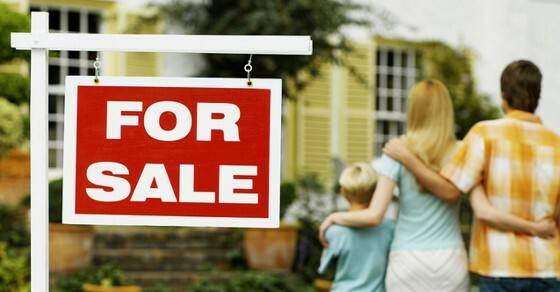 However, if you prefer to keep your down payment money invested in the markets for longer, there are two alternatives. First, you can ask a friend or family member to loan you the money for a down payment. This second loan, sometimes called a piggy back loan, often has a shorter term such as five years, but allows your down payment money more time in the markets. A standard agreement would be, for example, a family member loaning you $60,000 amortized over 5 years. In this example at a 4% interest rate, your monthly payment would be $1,104.99. This is equivalent to saving for the down payment retroactively over the first five years of home ownership. A second option is to open a pledged asset account. When you open the account, you must transfer investments worth 30% of the value of the house into it. The account’s value is then pledged as collateral against repayment of the loan. Rather than having to sell your investments and realize capital gains to provide a cash down payment, the pledged asset account allows the money to remain invested, continue earning interest and dividends, and hopefully appreciate. If the market drops, the agreement requires that more assets be added to maintain the account’s value. There is, in essence, no additional cost to a pledged asset account other than the risk of foreclosure and the inability to withdraw money from the account. Presumably the money was already invested and already subject to market fluctuations, and thus, by pledging the assets, you can avoid selling them and realizing the capital gains in order to raise the down payment. This pledging of assets gives the mortgage company confidence that you have the means to repay the loan and that default is unlikely. Because of that confidence, you are allowed to get a mortgage for the full purchase price with no mortgage insurance requirement. With a mortgage, both your real estate and your stock portfolio can be appreciating. Whenever mortgage interest rates are lower than reasonable average stock market returns, borrowing and keeping investments invested can be a superior strategy to paying cash. Currently mortgage interest rates are even lower than average inflation. At these rates, a thirty year mortgage is also good hedge against inflation.